I was very excited for this movie release! Divergent is one of my favorite dystopian series, and I couldn’t wait to see it translated onto the big screen. But of course I was also a little bit nervous about how much the filmmakers would change and how that would affect the overall story. I’m happy to say that the film adaptation of Divergent was extremely well done! I remember a lot of people being very apprehensive about Shailene Woodley being cast as Tris, but I was very pleased with her performance. She has shown herself to be a very versatile actress, and she really brought Tris’s character to life on screen. Same goes for Theo James, who was the perfect Four. The details that were included from the book were really well done–the different colors of clothes worn by each faction, the zipline, the trains that the Dauntless ride, and the Dauntless headquarters. I was worried about things from the book being cut out, but the few things that were didn’t really impact the story much at all. My favorite part of the movie was the fear landscapes. Four’s especially was so well done, I literally was cringing in my seat at the part where his fear of small spaces forced him and Tris to be enclosed in a metal box. It was really cool to see these brought to life on screen! Overall, Divergent was an excellent film and stayed very true to the book! The casting was very well done and Tris and Four especially were excellent on screen. I highly recommend seeing this one if you haven’t yet! 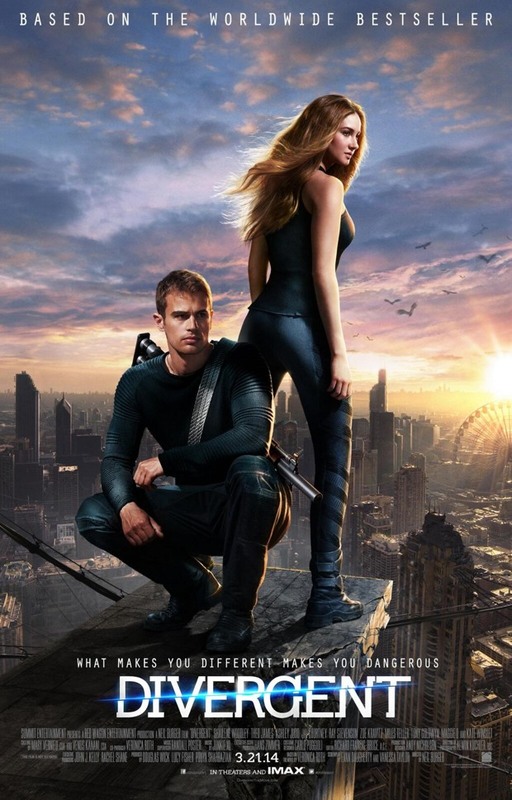 Divergent was released in theaters on March 21, 2014.